Adopted by a family who moved me from my birth state of Wisconsin to the Pacific Northwest when I was only three, placed me in the middle of some of the most beautiful landscape on earth. At the young age of six I talked my neighbor friend into climbing a mountain just a mile from where we lived. Of course the mountain was only a hill, but you get the idea. I was born to hike. It's in my blood. Only the constraints of life of a business manager keep me off the trail. In February of 2000, I decided to create a web site that would bring to one place all the useful information that a hiker might need for planning an outdoor adventure. I not only wanted trail information, but weather, road conditions, and where possible, web-cams to show us what the weather is like at a place close to a hiker's area of interest. Then I decided to put photos of hikes on the web site. I have always felt that a picture is worth a 1000 words, and I found lots of web sites with lots of words, but very few pictures. Also, I was overcome with the need to create a poem that kinda definds how I feel when I'm out there hiking by myself. Then, because of the 9/11/01 event in our country, I found myself unemployed and with too much time on my hands. So I decided to create Virtual Hike CDs. The CDs were developed to make "the next best thing to being there" a reality. Often a hiker contemplates a particular hike but is a bit reluctant to try it because the hiker is unfamiliar with the trail details. If the hiker hasn't heard someone talk about it or hasn't read much about it, there is a reluctance to try something new. This is particularly true if there is considerable distance to drive to the trail head. The Virtual Hike CDs are a solution to this dilemma. By viewing the slide presentation of a hike, a person can make an informed decision regarding whether or not they want to actually do the hike. The thousands of photos presented on these CDs were taken personally by me and are presented in the order that the hike unfolds. The maps and narrative are to give the user perspective. I drew the maps so they are not truly accurate. Yet they do give a close representation of where the trail is in relationship to roads, rivers, mountains, and such. The distances I use between trail markers were determined from other sources as well as the data I recorded while hiking the trail myself. I have prepared the CDs in such a way as to not only make them informative but also to make them entertaining. To sit back an view any of the hike slide shows with a musical selection playing in the background is truly an enjoyable experience. There are over seven hours of viewing in all 75 slide shows. Also, I have included puzzles and games to give the CD greater appeal to a wider audience. One of the features that most of my customers just love is the Screen saver. Ironically, I never intended to offer a screen saver because I knew that my camera was not capable of taking truly professional pictures. But my son talked me into it and what do you know, people just love it. This newest CD has a 100 photo screen saver covering most of the different hikes on the CD. Now just a brief word about the cameras I used to take the thousands of photos on my Virtual Hike CDs. I started out with a 1.2 megapixel Olympus Camera. I took over 35,000 photos with that camera before it finally succumbed to the constant abuse of trail travel. Then I purchased the Panasonic DMC-FZ20 with 5.3 megapixels. I choose these cameras because of the extraordinary optical telephoto lens. The Olympus has a 10 power optical lens and the Panasonic has a 12 power optical lens. Both have outstanding Macro options. Please be aware that the vast majority of photos on this CD were taken in wide angle mode. About 15% were taken telephoto and about 5% were taken macro. Then in 2006 I decided to purchase a DSLR camera. 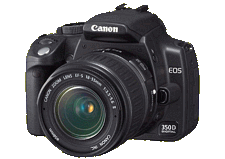 I bought the Canon 350D/Rebel that has 8 megapixels. I use the 28-135mm IS Lens. 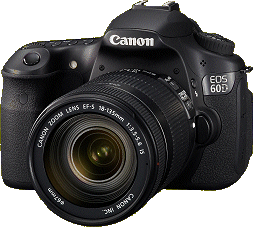 Then in 2012, I received as a gift the Canon 60D. With this 18 megapixel camera I use the 18-135mm lens. I would like to acknowledge those who have helped with the technical aspects of this CD. The most difficult programming challenges were solved by my good friend, Rick Hale. Andy Klapwyk provides most of the music on the CD. He is from Quebec, Canada. Andy has a web site where you can order his musical CD if you are interested. Also, a friend of mine from California, Kathy Figueroa, wrote a musical selection just for this CD. 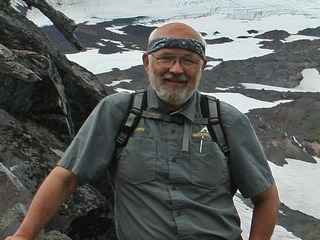 Then there is Tom Jones from Wales, U.K. who has provided the Slider Puzzle program and the Swap Tile program. He too has a web site where you can personally order the program to create your own puzzles. There is a fine company in Indonesia that provides the Jigsaw Puzzle technology. 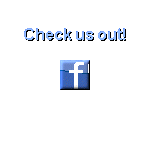 They also have a web site for your pleasure. Karl Maloszek of Berlin, Germany provided the panoramic technology that is on this CD. And a script master in California, USA by the name of Eric Harshbarger contributed the technology for the Concentration Games. I can truly say that this CD is an international project.